I love bite size food and really loved it when desserts come in mini size. I just love the thought of being able to take a bite and savoring it, without the guilt of not finishing it when the portions are too big. They say the best bite is the first one. 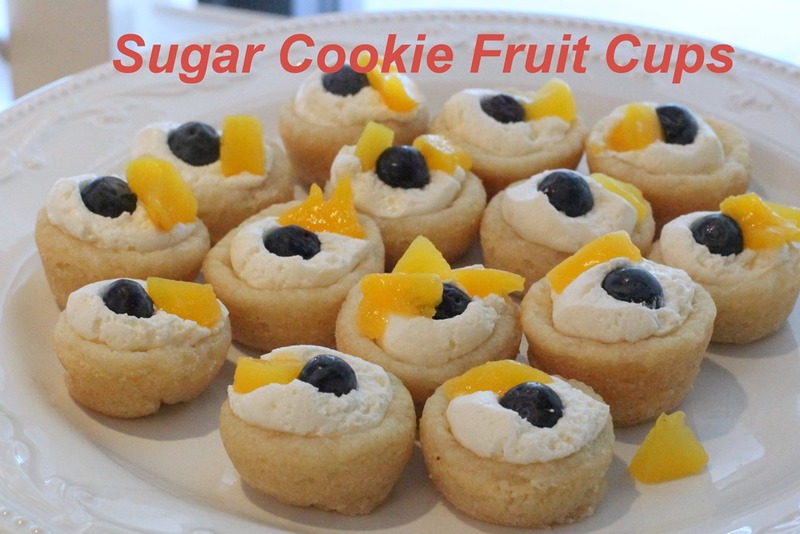 I first discovered these cute mini sugar cookies while browsing Pinterest and followed the pin to the original blog post. I adapted the recipe and adjusted the ratio of the whipped topping. 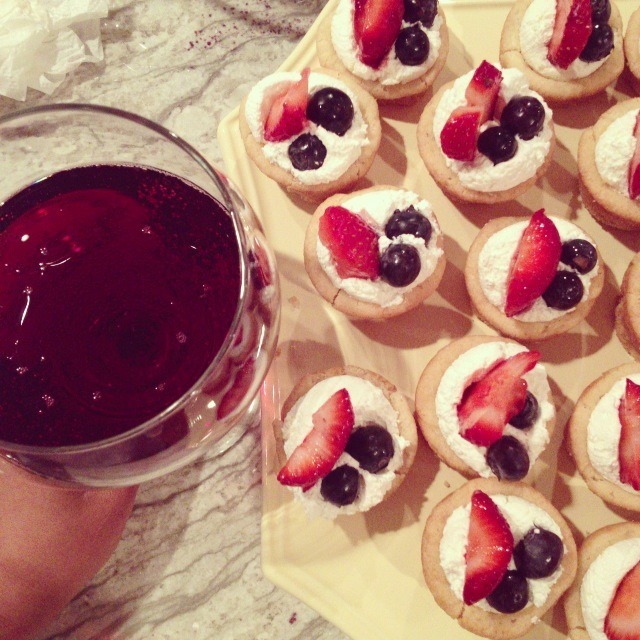 I’ve been making these a lot lately and they are my go-to dessert if I’m pressed for time. I make sure I have all the ingredients for one batch in the freezer. 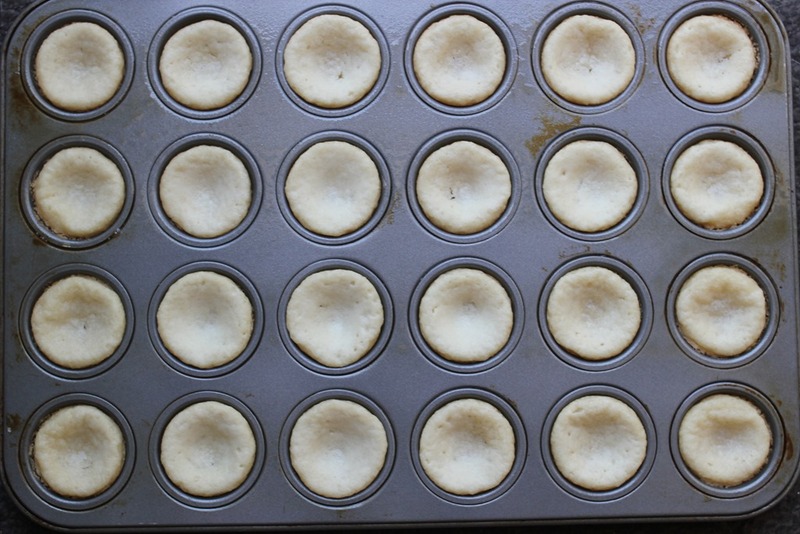 Use baking spray liberally on the mini muffin pan. Cook sugar cookie dough at 350 F according to package instructions. Do not over cook. 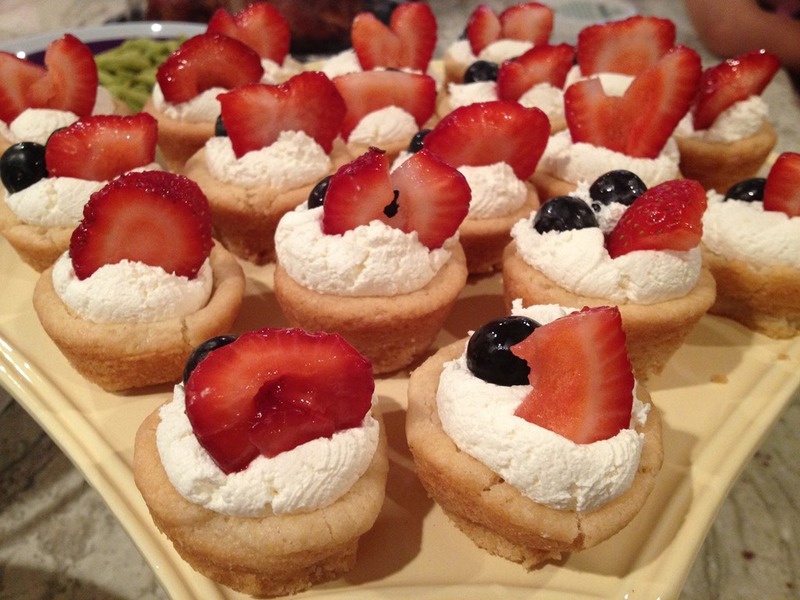 While the cookies are baking, whip softened cream cheese then add in cool whip until well incorporated. 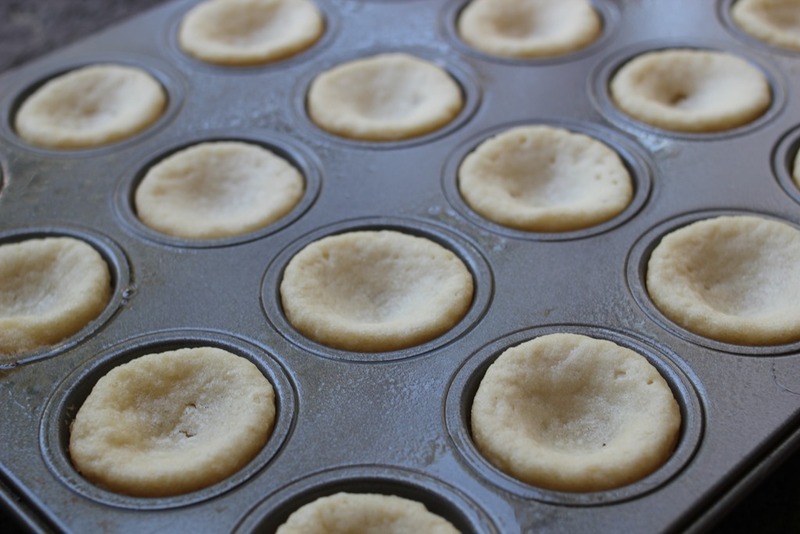 I add the whipped icing in a large ziplock and pipe them into the cooled cookie cups. I made these during my baby shower last year, at first I thought they were a lot of work for something so tiny. I was frustrated mostly when removing the cookies from the mini cupcake pans and they would all break and tear. I’ve since learned thru trial and error that I had to wait until it cooled a bit, before I can remove them from the pan. Once removed, they are still warm and I am able to re-shape them into cups and create a deeper hole in the middle. More room for the filling and fruits. 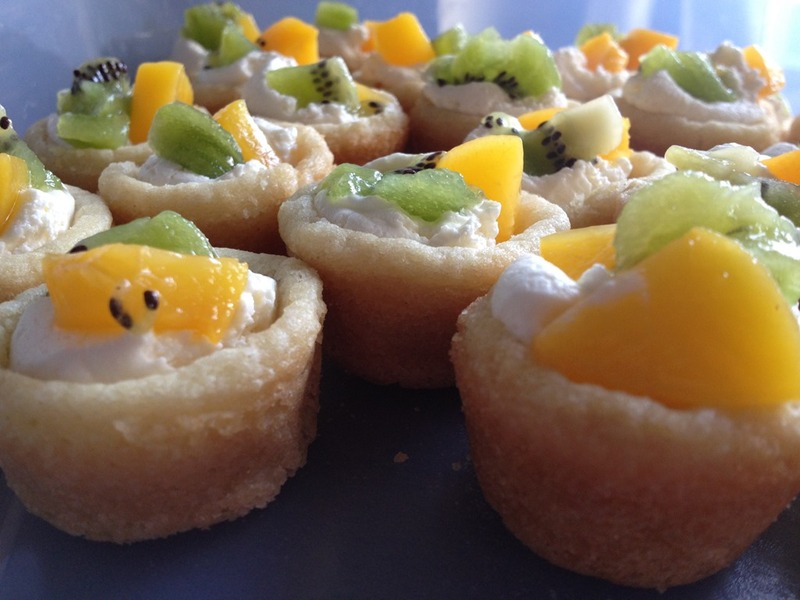 I don’t shape the dough before baking, since I’m shape the mini cups after they bake. In March, I made these for Baby H’s 1st birthday party. I did two batches and displayed them in 3 layers. In April, I made these for my sister’s birthday. Kiwis were already in season and I included canned peaches. During ladies night in May. I pre-baked the cookies at home and frosted them after work. 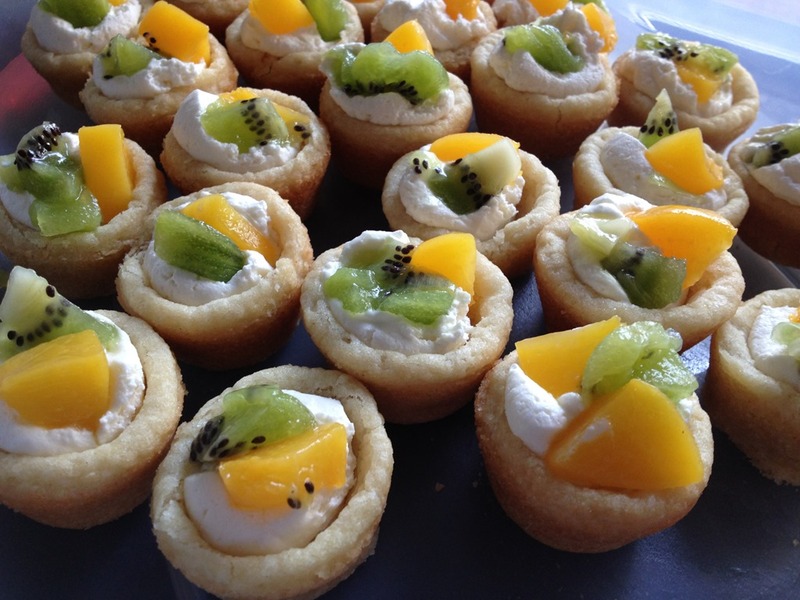 Served with chilled wine…..even better! 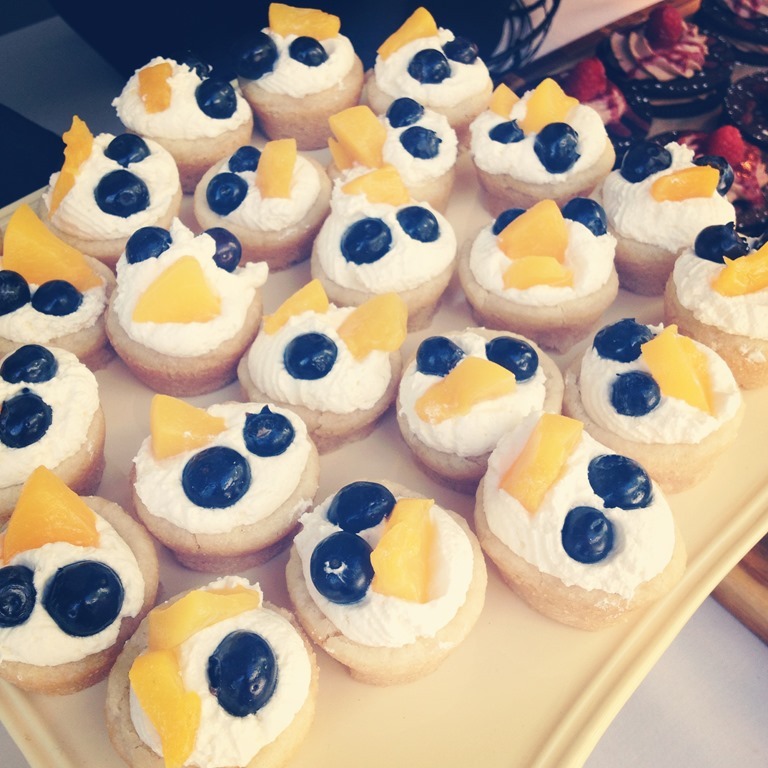 Then I made them for a girlfriend’s graduation party. 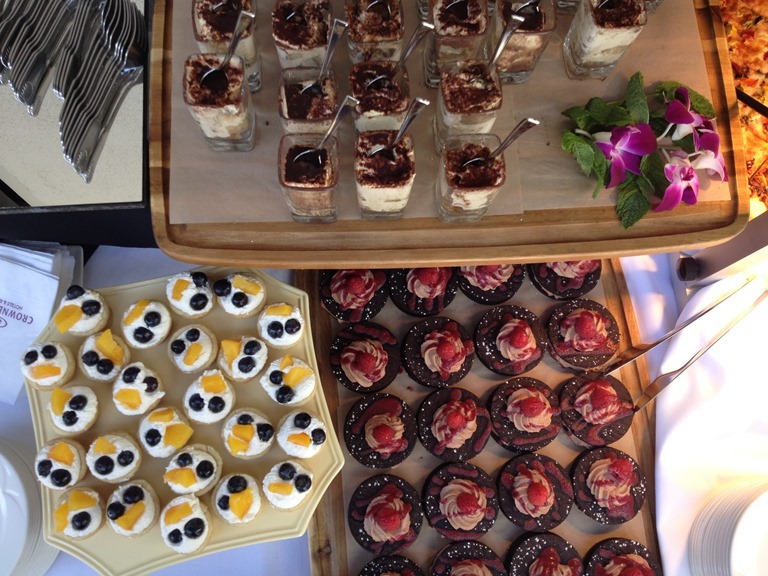 Although it was served along side catered desserts, my homemade cookie cups were a hit. How cute (and easy!!). A great idea. I need to try these! Will be making this for our upcoming Festivus celebration! 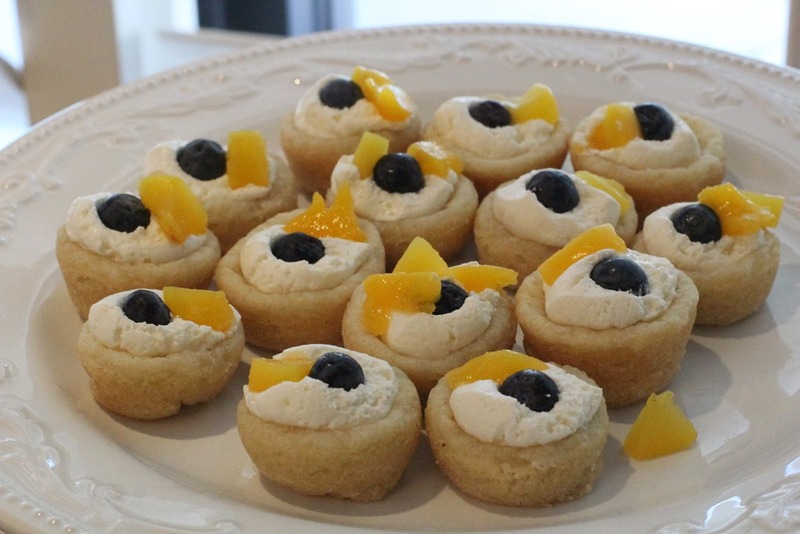 this looks delicious – will have to try them out!